VIDEO: Rapper Nick Cannon Puts Planned Parenthood On Blast For… Genocide! It takes a strong man, who is very sure of himself as an entertainer, to come forward and say something like this. Especially given the atmosphere in Hollywood and the entertainment industry these days. Rapper Nick Cannon, in an interview with The Breakfast Club, nailed Planned Parenthood for the genocide of black babies. He also linked Hillary Clinton to it. That exceedingly loud thud you just heard was a truth bomb dropped on the Democrats by a celebrity. Ouch. He’s also right in pointing out that Democrats don’t speak for African Americans. They don’t give a crap about them and what their lives entail. I have never understood the fervor to support those who are killing your children and bragging about it. I’m heartened to hear Cannon come out like this. It needs to be bluntly put out there by many more celebrities and those in the black community. You and I both know Planned Parenthood is evil (see EXPOSED: Planned Parenthood ‘3% of Services are Abortion’ a Total Lie… and Planned Parenthood Makes ‘Pure Profit’ Selling Baby Organs. Here’s Why it Matters…). However, we’re all right wing nut jobs. When you hear it from famous entertainers like Nick Cannon? Hillary was, think about all of the things they did with Planned Parenthood and all of that type of stuff. That type of stuff is to take our community, and forget gentrification, it’s real genocide, and it’s been like that for years. Two things here. One, it’s brave for Cannon to speak ill of Planned Parenthood. Celebrities are usually the ones whose publicists Planned Parenthood asks to tweet on their behalf when they are in trouble. It takes courage to be in the entertainment industry when you aren’t already outed as a conservative and speak the truth. The other was the rest of the interview, where Cannon joins other African American figures like P. Diddy and Stephen A. Smith in pointing out Democrats don’t really speak to them either. Abortion is a perfect example, what with Planned Parenthood’s founder being a racist eugenist. It’s rather hard to claim one’s party is about “black people” while it supports an organization which kills millions of their babies, no? 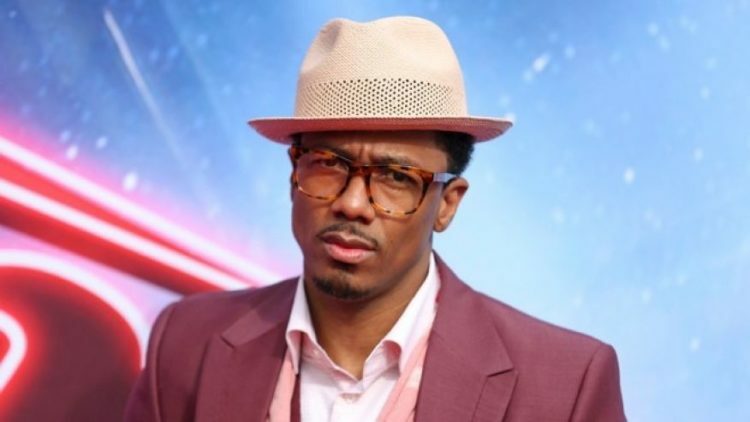 Maybe Nick Cannon’s stance is partially due to the fact that he’s about to have a baby with his ex-girlfriend. The 36 year-old “America’s Got Talent” and “Wild ‘n Out” host made the announcement on several radio shows Thursday morning. During an appearance on New York’s WWPR-FM, Cannon told the hosts, “God said be fruitful and multiply. I’m doing the Lord’s work.” Very funny, but I’m really happy for them. He even wrote a new song to celebrate the delivery soon to come. Cannon played a clip of “Baby on the Way” for the syndicated “Elvis Duran and the Morning Show.” The track is included on his new “The Gospel of Ike Turn Up” mixtape. He is also the father of 5 year-old twins, Moroccan and Monroe, with ex-wife Mariah Carey. Cannon is set to host the HALO awards on Nickelodeon on Nov. 27th. Perhaps he will share more of his views with us before then. There are a lot of people out there who could benefit from listening to what this man has to say.